Are you interested in building your vocabulary? Do you feel that your writing or your speaking vocabulary is below average? The purpose of "Vocabulary Building" is to beef up your everyday vocabulary with words that you could use in everyday conversation. A strong vocabulary will not only give you the tools to say and write exactly what you mean it can also help you on a job interview, communicate better with a doctor or your lawyer and certainly help you with school work. A good vocabulary makes you sound smarter, feel more assured and practically guarantees you'll be a better writer and speaker. The purpose of this vocabulary class is to beef up your everyday vocabulary with words that you could use in everyday conversation. The larger our vocabularies the more clearly we can communicate with others and understand what others are trying to communicate to us. This course will introduce some simple ways to learn new vocabulary words by practicing reading in context, by writing sentences using the words and by doing practice exercises and quizzes. The class is not a beginning or advanced vocabulary course. It's that "in between" course where so many people's vocabulary skills fit. So if you're interested in expanding your vocabulary skills in a self-paced, no stress format where an instructor actually reviews and corrects your sentence writing, why not give it a try? Enrich your life by enriching your vocabulary. Communication is how we use words to interact with each other. In order to become a successful communicator and to get ahead in life, you probably need to improve your vocabulary to sound composed and professional. Having the proper vocabulary makes you sound smarter and feel more assured, because the ability to say exactly what you mean, using and pronouncing essential words correctly, gives you power and status. Most people don't want to think about memorizing boring vocabulary lists; and how are you supposed to remember 1,000 words in alphabetical order? And don't we all hate the idea of flash cards? How can anyone guess the words you most need to know? That would really be impossible. The words in this course are the kind of words that upper-middle school and high school teachers incorrectly assume that students already know. They are not too hard, not too easy. This online course will tackle "learning new words" a little differently. We'll be working on some "essential" words (this is not an advanced vocabulary course). The words will not be obscure. They will be words you'll hear or read daily and are expected to know the meaning of, and to use in your everyday conversation. They'll be words you're slightly familiar with, but can't quite use in everyday conversation. You can figure them out in "context," but on a test without other cues, you might draw a blank. Experts agree that you don't really acquire a word until you come across it three times. This is a "self-help" course. You can help yourself strengthen and expand your word knowledge. The words you will learn are essential in that they are known and used regularly by educated people. You will find that words like squander, rehabilitate, blunder, and obesity will turn up in the newspapers, magazines, and books you read, on television, in the movies, and in the conversations of the people you meet daily. This self-paced course should not be stressful, but a fun and easy way to improve your vocabulary. Learning takes time. Remember that an improved vocabulary only begins with the acquisition of a single new word. Our worth is often measured by our words. The richer your vocabulary is, the richer your opportunities will be. Are you worried that your vocabulary just doesn't measure up? Is boosting your word power a top priority? If you feel that your current vocabulary is below par, and want to strengthen your communication skills and impact, then this self-paced, self-contained course is right up your alley. As long as you have a middle to high school reading level and an earnest desire and commitment to learn, by the time you complete this course, you'll have a broader vocabulary and greater confidence in your written and verbal skills. Across a total of ten comprehensive lessons (complete with links, resources and other reading materials) you'll add nearly 200 new words to your working vocabulary. More than that, though, you’ll be provided with a simple and effective way to add even more words by learning the essentials of reading in context. Never again will you have to be held down by the limitations of a stunted vocabulary. Best of all, because enrollment is open 24/7, there's no reason to keep putting things off. Register today to improve your life by enriching your vocabulary. 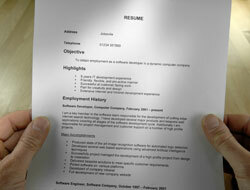 Looking for a competitive edge in your next job interview? Do you wish you could "hold your own" in discussions and debates amongst experts like doctors, lawyers and big business executives? Have you ever humiliated yourself at dinner parties or other social settings by using a word incorrectly or pronouncing it wrong? Are you concerned that your working vocabulary is below par, or that it’s blocking your from taking your life and career to the next level? If you answered yes to any (or all) of these questions, then Instructor Cathleen Glenn’s course on constructing a better, broader, everyday vocabulary will be a perfect fit for your situation--no matter how hopeless you feel that situation may be! The lessons include assignments, quizzes and class forum participation that earn points towards your final average grade. Lessons must be completed sequentially. You can’t access Lessons 2 & 3 until you’ve first finished your coursework for Lesson 1. If you encounter questions or areas that leave you confused, you can contact your instructor directly at any time by using the Class Email Forum under the Communications tab in the main classroom area. Within three or four days, her response will show up in your own email in-box. And it can help your put your career on the fast-track! Unlike many classes, Vocabulary Building doesn't require that you wait around twiddling your thumbs, waiting for enrollment to open. Instead of wasting time, you have the freedom to register today--right now even! If you're sick and tired of feeling foolish, then the smart thing to do is to do something about. Now that you're all out of excuses, what are you waiting for? Sign up now! Take Poll: Which is more difficult for you? Describe the best practices to build vocabulary. Define and use homonyms and homographs. Define and use words of foreign origin. Define and use power words. Define and use verbal analogies. "Enjoyed the course! 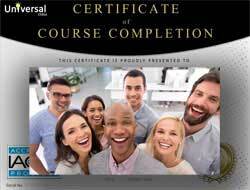 The class was very helpful, I really loved improving my vocabulary...Thank God that I had six months to complete the course because I became ill during the time that I was register." -- Lillian J. "I am doing the Grammar Course online and hope to do the Proofreading course; so I needed to expand my word use. The course was easy to follow and the assignments fun and educational." -- Gemma C.
"The instructor was excellent. She was thorough and prompt. She contributed a real human touch to this computerized classwork." -- Gretchen T.
"I found the lessons to be very helpful. I really enjoyed this Instuctor, she was very nice and extremly helpful." -- Kellie R.
"I really enjoyed being able to print the text and read it at my leisure." 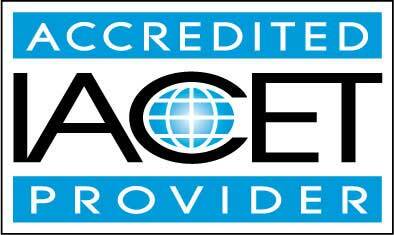 -- Juree H.
"The instructor was extremely knowledgeable and like I said got back to me almost immediately." -- Donna N.
"My instructor was EXCELLENT! She also was instructive, patient, and encouraging during this course. All parts of course were helpful, I have an increased knowledge and awareness of words when reading or writing." -- Helen M.